Trucking regulation today is, largely, limited to safety issues. Safety regulations, cover insurance standards, driver licensing standards, training requirements, driver qualifications, maintenance standards as well as a separate group of regulations for the transportation of hazardous materials and wastes. The remnants of economic regulation, for the most part involve when a trucking business chooses to lease equipment with drivers (owner operators) and another group deals with how cargo loss and damage claims must be handled. For the most part, the states have adopted the Federal Motor Carrier Safety Regulations so whether the transportation services involved interstate commerce or not, really does not matter. Any regulations which are at least as stringent, or more stringent, than the Federal Regulations. States may also adopt some of the Federal Regulations and develop their own for those sections they do not adopt. Of all the regulations, from a litigation perspective, the ones that seem to come up most frequently is 49 CFR§392.9 along with others that deal with loading and securing freight in or on the vehicle for the rigors of transportation. The essence of these Regulations is, it is primarily the driver’s and motor carrier’s responsibility to secure the goods so they cannot shift or fall during the transportation process. However, there is an exception which applies when the shipper loads the vehicle and places a seal on the door and/or loads the vehicle in such a way as to make any defects in the load not visible through ordinary observation by the driver. Under these conditions, the shipper becomes liable for an injury to the driver or material handlers during the unloading process. It is not enough for the driver to look into the back of the trailer. It is unlikely he/she would be able to see any defect which may be concealed in the load beyond the first row of goods. Many shippers do not allow drivers on the loading dock during loading and will place a seal on the doors before the driver is able to even see the load or secure it for transportation. The typical tractor/trailer combination weights on the order of 30,000 pounds empty. Most are capable of transporting loads in the range of 50,000 pounds, making the cargo far heavier than the weight properly distributed, it may shift in transit, which can result in the tractor and trailer rolling over on its side. There is nothing subtle about a truck wreck. 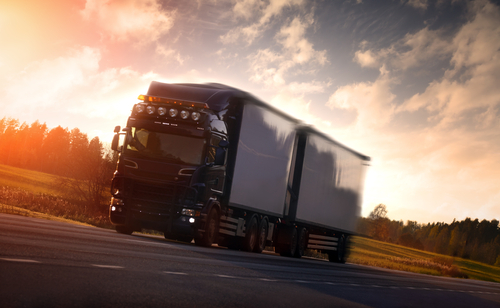 Tractor/trailer combinations are more commonly about 65 feet long and 8 ½ feet wide and can have a gross vehicle weight of up to 80,000 pounds. When it rolls over, it can land on smaller vehicles, causing catastrophic injuries and/or major damages. Shippers, manufacturers, distributors, warehousing organizations, motor carriers, drivers, loaders, maintenance organizations, and highway agencies may be culpable if a truck is involved in this type of accident.